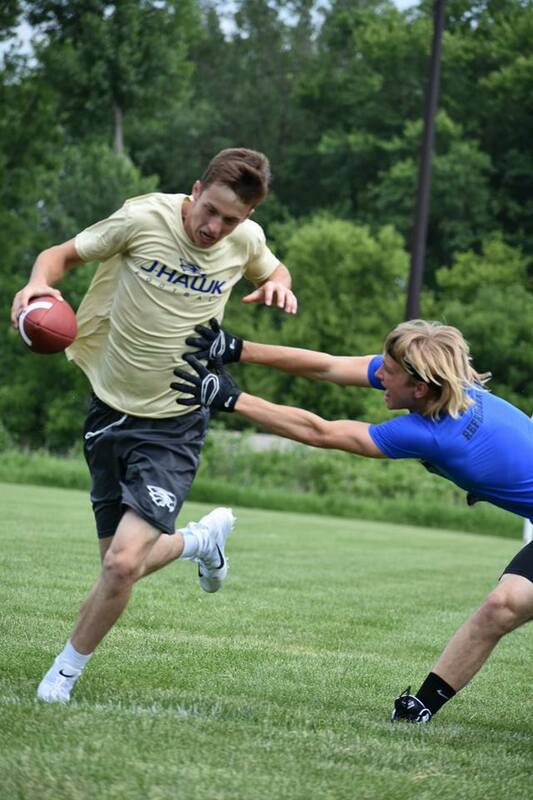 7v7 or 7on7 is not flag football. There is no blocking, no tackling, no flag pulling and contact is not encouraged. The primary contact in the game is the one hand touch to mark a player down at the spot of the touch. The reason this is awesome is it encourages the game to continue playing fast which, is when the fun is happening. More plays, mean more routes run, mean more passes thrown and caught or defended, means more fun for all participants. 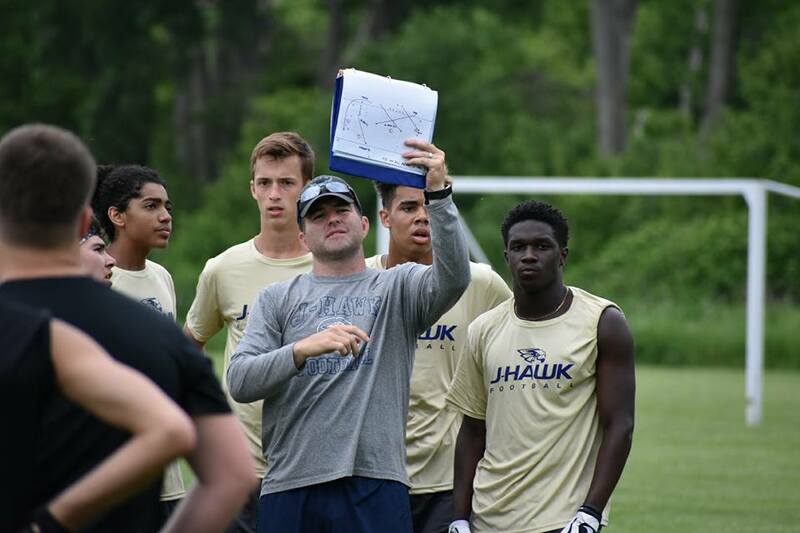 7v7 is actually 6v7 with 6 offensive players that are not part of the offensive line. The other 5 players of 11 man football have to be part of the offensive line and are not eligible to go down field when passing. There are 7 defenders that are normally working to defend the passing game. That is any combination of Linebackers, Corners and Safeties can be used to defend the pass. 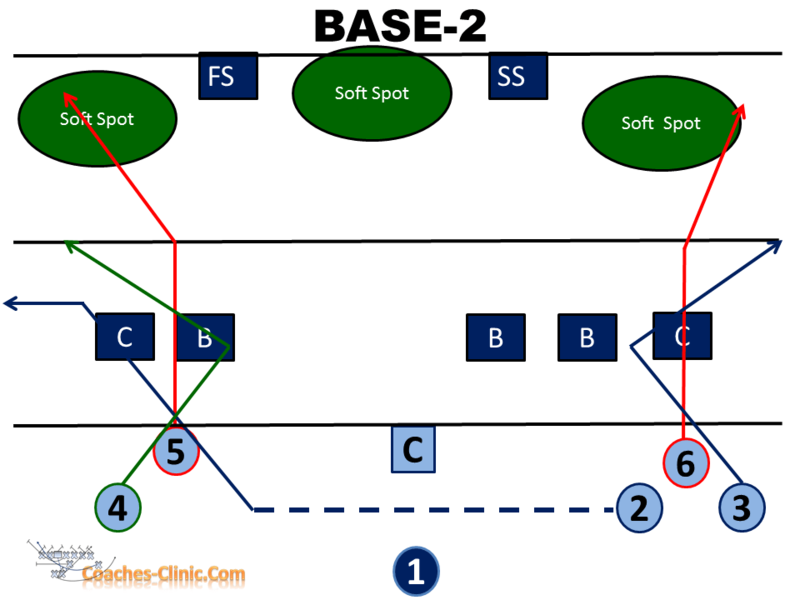 for example 3 linebackers and 2 safeties and 2 corner is on group or 4 linebackers, 2 corners and 1 safety. The Hotfeet Fire Dragons 7on7 club is a grassroots club dedicated to building understanding of the game of football through participation in tournaments, and practices where size does not matter if you can throw and catch or even run in the right direction you can play. Yes you have to be able to run in the right direction. Nobody will throw you the ball if you are going the wrong way.